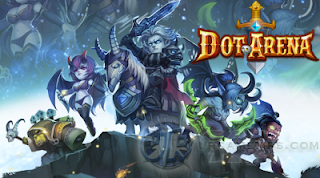 Dot Arena is a thrilling action RPG multiplayer online mobile game presented by FunPlus. Available on Android - Google Play and iOS App Store. 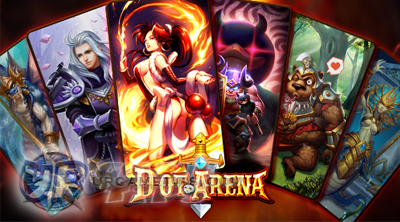 Adventure through a classic campaign or test your heroes with time-challenge PvE; climb arena leaderboards, or brave the crucible - Dot Arena's unique survival-mode PvP. Explore dungeons, join your guild’s co-op quests, and hire heroes: the role-playing and fun social possibilities are endless. How do I get Heroes? 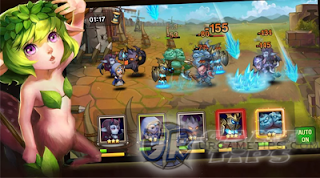 - Other than the free starting 5 heroes, you can get more of them by collecting Soulstones then summoning them via the Heroes tab. 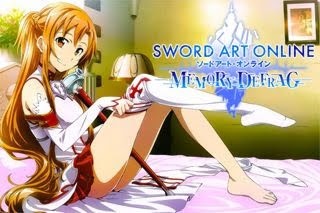 - Chance to obtain from the "Treasure Chests" section. For the "Bronze Chest" feature, just use the free option, same with the "Golden Chest" feature, but if you have enough Diamonds, use the "Open 10 option". - Chance to get one from Crucible of Fire chests. - Complete certain Quests to claim some Soulstones. - Can be purchased or redeemed from different in-game Shops. Trader Shop, Interstellar Merchant, Guild Shop, CoF Shop, and Arena Shop for example. - Chance to get from Crucible of Fire chests. How do I Fuse my Heroes? - All Heroes have six equipment slots. When all 6 slots are full, you can tap “Fuse” to increase your Hero’s grade. Once an item is equipped, you can’t unequip it. What is the Hero Fusion process? - White→Green→ Green+1→ Blue→ Blue+1→ Blue+2→ Purple→ Purple+1→ Purple+2→ Purple+3. Probably more after some game updates. - At Lv 40, your Hero’s level is capped off by your Party Lvl. Once you level up your Party Lvl, you will be able to level up your Hero. What happens if I can’t level up my Party Lvl? - Visit the Dailies tab to see which ones you've completed. Dailies award a lot of Party EXP. - Tap a Hero’s portrait to see how many Soulstones you need to Promote your Hero. Once you have enough Shards, tap Promote to increase its stars rating. Stars will increase the stat growth rates of Heroes.